When homes aren’t made with enough insulation, or wear and tear over time makes it lose its effectiveness, we can help. We can also upgrade certain sections of your home that don’t have insulation or a DIY addition did not include the necessary insulation. Whatever the reason, if your home is in need of insulation, our technicians can accommodate. We have the state of the art tools and the training to apply insulation quickly and accurately. That is why we are the number one choice for insulation services in Greater Burton. Good's Roofing has proudly provided homeowners in Fenton, Davison, Lapeer, Burton, Flushing and nearby with quality insulation since 1997. Contact us today for insulation in your attic! One of the many material aspects of a home is your insulation; the pink fluffy material in your attic and walls. Insulation is an extremely important part of your home because it helps keep energy where it should be. Things like wood frames, sheetrock, plaster and alike materials are rife with pores, cracks and holes. These materials provide essential structure and protection, but they weren’t designed to hold in energy. Without proper insulation, any temperature change of the outside would shift the temperature inside. Likewise, all heated or cooled air inside would escape outside until your power bill was outrageous and your indoor temperature felt mostly like the outside all of the time. Good's Roofing is your roofing contractor to install quality attic insulation. Whether you need blown insulation in your attic or sheets installed behind your drywall, we can get the job done. We know exactly what it takes to properly insulate your home and we extend professional and prompt service on every job. Even if you have insulation, if you can see any part of your attic’s floor you could use some more. By adding layers of insulation to your home you will effectively further fortify it from infiltrating energy. The insulation also traps your conditioned air inside, disallowing transfer of heat. This will significantly reduce your energy expenditures on a monthly basis. The savings will continue to accrue, paying for the costs of installation many times over. 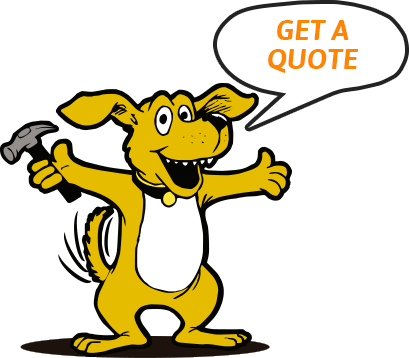 Get an attic insulation inspection & quote today! If you aren’t sure whether you could use more insulation we will gladly conduct an attic inspection. Not only do we look at your insulation but also your ventilation to give you a thorough assessment of your energy efficiency opportunities. If you discover your energy bills are skyrocketing and you aren’t sure why, likely you have an efficiency problem within your insulation or your roof. The experts at Good's Roofing can quickly identify the root of this problem and offer affordable solutions.